The Samajwadi Party president was on his way to attend an event at Allahabad University when he was stopped at Lucknow airport. Several Opposition leaders on Tuesday criticised the Bharatiya Janata Party government in Uttar Pradesh for detaining former Chief Minister Akhilesh Yadav at Lucknow airport earlier in the day and not allowing him to board a plane to Prayagraj. Yadav was on his way to attend the oath-taking ceremony of a student leader at Allahabad University. 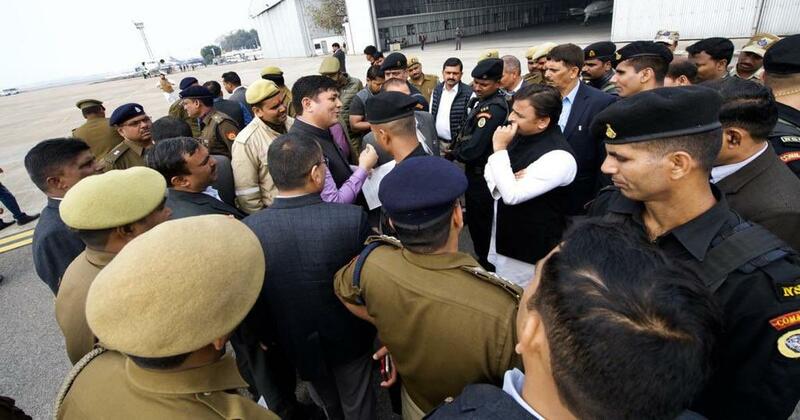 The Samajwadi Party chief posted photos from the airport. “I was prevented from boarding the airplane without any written orders,” he tweeted. “It is clear how frightened the government is by the oath ceremony of a student leader. The BJP knows that youth of our great country will not tolerate this injustice anymore!” Airport Director AK Sharma, however, said he had no information about Yadav’s detention. Delhi Chief Minister Arvind Kejriwal also condemned the incident. “This is yet another example of BJP’s dictatorial attitude,” he tweeted. Uttar Pradesh Congress leader Pramod Tewari also said democracy was in danger, according to The Times of India. Strongly condemn the high-handed behaviour of Lucknow authorities against Samajwadi party leader Sri Akhilesh Yadav. Another instance of BJP's intolerance against its political opponents. Really democracy is in danger. 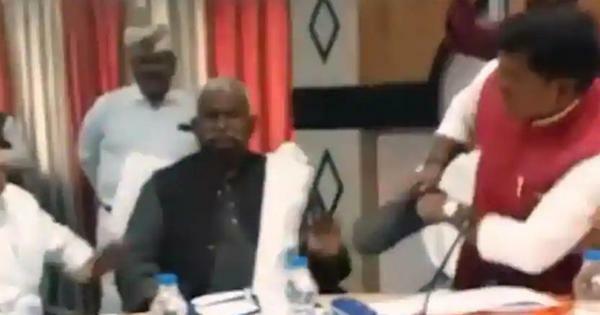 There may even be arson and sabotage, he claimed, adding that the Kumbh Mela was going on at Prayagraj. “There is huge gathering because of Kumbh, almost 25-30 lakh people are visiting Kumbh everyday, it can be dangerous....They have been stopped at request of the university,” he added. @samajwadiparty should come out of its anarchist attitude and activities, Kumbh is going on in Prayagraj. Ten days ago Shri @yadavakhilesh ji had visited Kumbh and had taken a holy dip in Sangam.